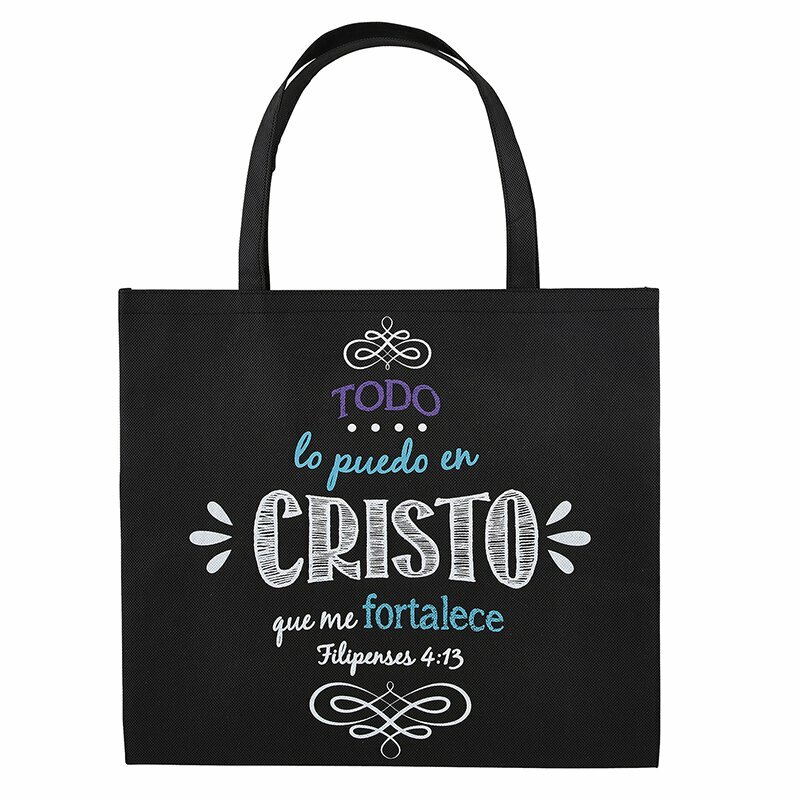 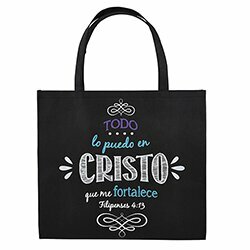 This tote boldly states that we can do anything with the help of Jesus (en espanol) - Todo lo Puedo en Cristo que me fortalece (Filipenses 4:13). 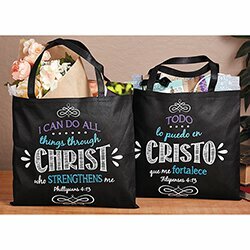 Perfectly priced for gifts and give-aways. 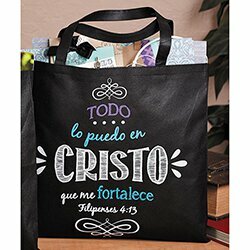 Great for mission trips, those attending Bible study or prayer group meetings.